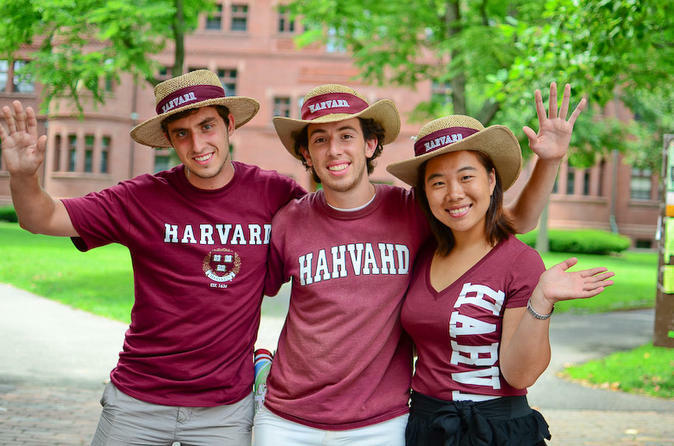 If you’re considering Harvard University, or you just want to see what student life is like at this Ivy League establishment, this 70-minute ‘Hahvahd’ tour is for you! Enjoy a one-of-a-kind dramatic presentation given by current Harvard students who share their insider perspective of college life in Cambridge. You’ll see historical buildings as you tour Harvard Yard and Harvard Square, hear stories about the school’s history and learn about some famous people who attended the school. This ticket includes admission to the Harvard Museum of Natural History where you can go to view the famous glass flowers. Meet your guide and group at a location in Cambridge and embark on a 70-minute student-led walking tour of Harvard University, one of the country’s top colleges, founded in 1636. Throughout this ever-popular ‘Hahvahd’ tour, your informative guide – a current university student – will offer a unique perspective of college life at the famed institution, of which 44 current and former faculty members are Nobel laureates. Head to the 25-acre (10-hectare) Harvard Yard, the oldest section of the university, and view the brick facades of the dormitories, libraries and classrooms. Your guide will point out Old Yard, including Harvard’s oldest standing building – Massachusetts Hall, constructed in 1720 – as well as New Yard. See historical edifices like Memorial Hall, Sever Hall, the Widener Library and the Harvard Lampoon, as well as the statue of John Harvard – the university’s founder. As you tour the grounds, be entertained by your guide’s stories and Harvard lore – partly scripted and partly shared from personal experience. Learn about the most famous people to attend Harvard, hear historical anecdotes and get an insider’s view of current college life. After a stop at the Plaza, Winthrop Park and Mt Auburn Street in Harvard Square, complete your tour at the Harvard Shop or continue on to the Museum of Natural History. This ticket includes admission to the Harvard Museum of Natural History. Make sure you pick up your admission voucher from Tour managers before going to the Museum. If you choose to explore the Harvard Museum of Natural History along with your tour, you will get a comprehensive look at the exotic and the familiar. Established in 1998, the museum is the public face for three research museums: the Museum of Comparative Zoology, the Harvard University Herbaria, and the Mineralogical and Geological Museum. The museum is now a 21st-century representation of innovative research, current issues and a clever approach to education. Permanent exhibits include the world famous Glass Flowers Exhibit, Earth and Planetary Sciences Gallery, Fishes Gallery, New England Forests in the Zofnass Family Gallery, Arthropods: Creatures that Rule, Africa Gallery, Great Mammal Hall, Evolution, and the Zoological Galleries.